Aeroplane's debut album 'We Can't Fly', an in depth trip into Balearics with a large dose of AOR and Moroder-influenced disco, was released on Eskimo Recordings, PIAS and Ultra in 2010. Well ahead of its time, the album is an obvious precursor to many of the releases of similar genre in 2013 and 2014. In 2012, Aeroplane was selected by Pete Tong as the 500th DJ to perform an 'Essential Mix' which included his song 'We Can't Fly' and his now world famous remix of Friendly Fires' 'Paris.' As a result, Aeroplane was named one of NME's '20 Most Groundbreaking Dance Acts in the World'. 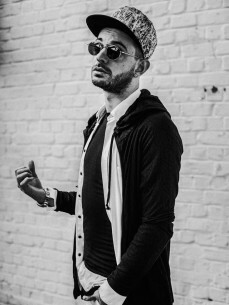 Following the success of 'We Can't Fly' and the 'Paris' remix, Aeroplane has released several collaborative EP's, produced countless successful remixes, and has launched his own record label, Aeropop, in addition to touring the world many times over. In 2015, Aeroplane will release his first original music in over a year with the single 'Let's Get Slow,' which features a vocal performance by Benjamin Diamond of Stardust 'Music Sounds Better With You' fame. To follow will be a steady stream of new original music throughout the year including collaborations with Mayer Hawthorne and Kimbra, among others.